Wawanesa was originally called Sipiweske. The word Sipiweske (pronounced similarly to "Sip-O-Whiskey”) means "light through the trees" in Cree. 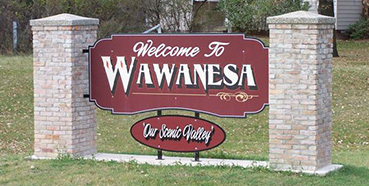 In 1890, the under the influence of the temperance movement, the town changed it’s name to Wawanesa, which may come from the Ojibwa word waa’oonesii for "Whip-poor-will”. The first people to inhabit the area were Aboriginal people, mainly Cree, Sioux, Blackfoot and Lakota. The first Europeans settled in the late 1800’s, with the early pioneers breaking the land for farms. By 1882, harvests were large enough to demand a local marketing center. Even as the community grew, it could not provide all the services the farmers wanted. In 1890, the Northern Pacific Railroad (later the C.N.R.) moved through the area and with it came the construction of grain elevators and service centers that made the long and dangerous trip to Brandon almost unnecessary. With the arrival of the railroad, the village grew and Wawanesa was a flourishing rural community at the turn of the century. 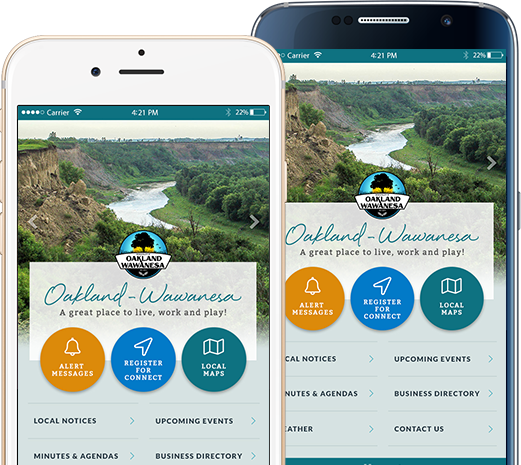 Much of the land surrounding Wawanesa is rooted deeply in agriculture and crop production. 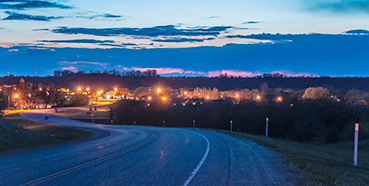 The Souris River winds its way through the village, and the valley created by its banks offers a visual experience unique to most areas of the Canadian Prairies. The following is a timeline of the history of Wawanesa since the first European Visitor. 1797 – On November 28, David Thompson camped on the edge of the Souris River in a place the Cree called Sipiweske, meaning "Light through the trees". Late 1800’s – The area first began to be settled by peoples of European descent. 1889 – First store built by J.J. Story, present site of Wawanesa Lucky Dollar. 1890 – Name changed from Sipiweske to Wawanesa. 1892 – The Enterprise, the first newspaper, was started. 1896 – Wawanesa Mutual Insurance Company was started. 1903 – Telephone service began. 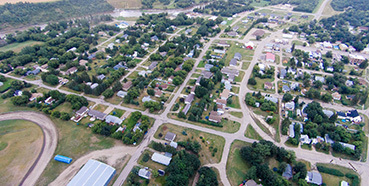 1909 – Wawanesa Village was incorporated. 1929 – Hydro service came to Wawanesa. 1954 – Telephone Service came to Wawanesa. 1976 – One in One hundred year flood occurred, damaging or destroying low lying property. 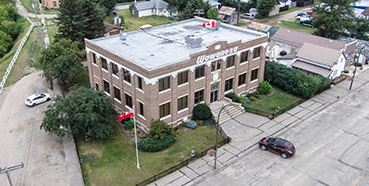 1996 – Wawanesa Mutual Centennial. 2003 – Manitoba’s first Geothermal subdivision begins construction. 2011– One in three hundred year flood occurred.